James DeWitt Yancey, known to his die-hard fans worldwide as Jay Dee or J Dilla, was one of the most prodigious producers that Hip-Hop has ever witnessed. His sound was eclectic and distinct as he made hits for big name artists like Q-Tip, Busta Rhymes, Common, Janet Jackson, and Erykah Badu to name a few. A celebrated underground hero for his work with hometown Detroit crew Slum Village and collaborative projects with Madlib, J Dilla set the bar high for aspiring producers as well as the established. Projects like Ruff Draft, Donuts, The Shining, and Another Batch only solidified him as one of the best to ever do it. Below, we take a look at some of the most iconic images of J Dilla that continue to be recognized, reproduced and replicated by fans all over the world. Take a few minutes to view them and read about how those pictures came to be as well as the effectiveness of each one. This classic black and white image of Dilla working on music in his L.A. apartment was captured by Raph Rashid for the book, Behind The Beat. Shot from a distance in a wide frame, this shot quietly embodies an intimate moment between a man and his craft. 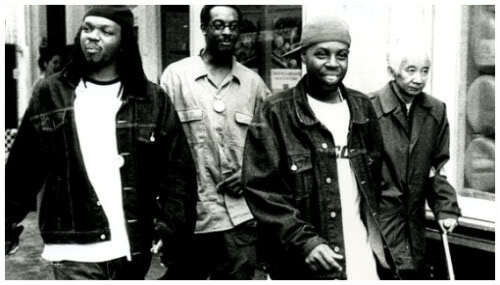 For this one, Dilla is found in front of a set of drums, reaching in what looks like a sack of marijuana. What he really had in his hand remains a mystery but you can find other “safe” versions of the picture around the internet where it only shows Dilla from the chest up, or photo-shops the bag out of his hand completely [as seen below]. Like many producer, Dilla loved to go digging through records at select record stores and this image shows the legendary producer in his natural elements. Taken by Brian Cross, we see Dilla thumbing through vinyl in Car City Records in Detroit, MI. This photo is wildly recognized for Dilla’s Donuts as it’s the main cover for the classic album, but what some may not know is that this picture is actually a still derived from MED’s video for “Push” that Dilla appeared in. This picture of Dilla lounging in his Detroit home studio in 2003 was shot by Brian Cross and shows the legendary producer in a very chill state of being. The image is almost poetic as the dark setting and slightly blurred offset captures the reflective side of Dilla. Another classic image of Dilla digging through vinyl, but this time with fellow producer/emcee Madlib. This 2005 photo shows the two diligently searching through records at Discomania in São Paulo, Brazil. This image displays Dilla with a calm expression on his face as he poses with a confident demeanor for a photo-shoot. Other pictures from that shoot also show Dilla holding his MPC machine. This particular photo has been drawn, sketched, and painted by countless J Dilla fans throughout the years. 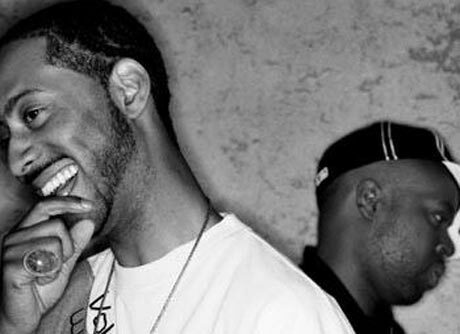 As the album cover for Jaylib’s (Dilla and Madlib) collaborative 2003 album, Champion Sound, this image displays a rather somber Dilla in the back and an energetic Madlib in front. The cover serves as an unforgettable look at the duo’s incredible music union. An early but memorable snapshot of Slum Village members T3, Baatin, and Dilla follows the influential Detroit group during better days as they move about the streets of Amsterdam in 1999. 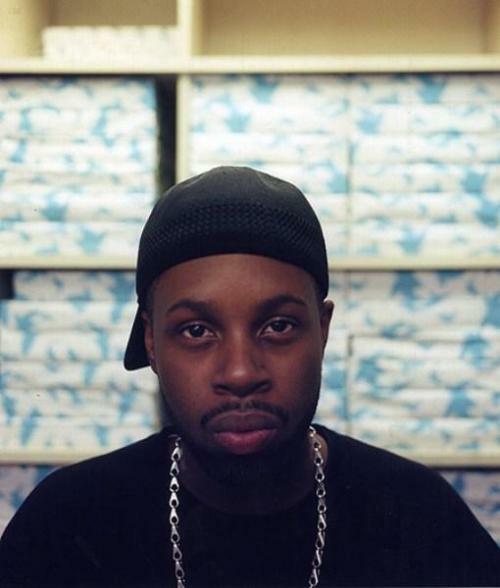 Simplicity and depth both meet in this up-close and in-your-face headshot of Dilla. In the photo, he rocks a backwards hat and a complex scowl that teeters between seriousness and sincerity. You can almost hear the gears in his head turning and that’s what makes this, and all of the other photos featured here, the most recognizable images of J Dilla.